This article is Part III of a series exploring the past of soon-to-be National Security Adviser John Bolton and what his appointment will mean for U.S. foreign policy, with a focus on the Middle East, Latin America, and the Koreas. Part I examined Bolton’s past advocacy for Israel, often at the U.S.’ expense. Part II detailed how that same commitment to Israel has shaped his vision for the Middle East, a vision that calls for regime change in Iran, the division of both Syria and Iraq, and the creation of a new Sunni state. Part III explores Bolton’s past and present policies in regards to Latin America, policies which threaten to return the region to bloody legacy of American-backed military coups. WASHINGTON – While President Trump’s appointment of John Bolton to the position of National Security Adviser has sent shockwaves throughout the country, most of the concern about his likely effect on U.S. policy has been focused on the Middle East as well as the Korean peninsula. Bolton’s appointment has, however, also caused concern elsewhere, particularly in Latin America. Though he is best known for promoting the invasion of Iraq on false claims of “weapons of mass destruction,” Bolton has also made similar false claims against Cuba, stating that the island nation had a “developmental offensive biological warfare program” in order to include it among the “Axis of Evil” countries. Not only that, but Bolton has also conjured up false claims of Venezuela protecting Iranian “smugglers” in a bid to target its current government. More recently, he has called for “greater U.S. involvement” in the “critical” region of Latin America. The Iran-Contra affair, perhaps the best-known scandal of the Reagan era, saw the U.S. government facilitate the sale of arms to Iran, then under a weapons embargo, in order to covertly fund the Contras – “rebels” who launched a campaign of terror in Nicaragua in attempts to oust the leftist Sandinista government — after U.S. support for the group had been outlawed by Congress. When the scandal broke, many Reagan officials sought to mitigate the damage and launched a cover-up. Was Nicolas Sarkozy’s Role in Taking Out Gaddafi More Personal than Geopolitical? However, Bolton buried the information – refusing to comply with congressional requests for the information he had received from Kerry and other sources, and also refusing to testify. Bolton claimed that the information requested by the House Judiciary Committee was “highly classified” and that no member of the committee has the “proper clearances” to review it. Bolton continued to block government probes by refusing to cooperate with document release requests and invoking executive privilege. He later referred to efforts to destroy information allegedly pertaining to the Contra affair as “house cleaning” chores so the George H.W. Bush administration could come in with “a clean slate.” Bolton then served in the State Department during Bush’s presidency. In addition, John Bolton is a long-time associate of the D.C.-based Covington & Burling law firm, which has a sordid history of lobbying for coups in Latin America. Most recently, Covington came under scrutiny for its role in the 2009 military coup that ousted Manuel Zelaya in Honduras. When Zelaya raised the minimum wage, Chiquita fruit company paid $70,000 in lobbying fees to Covington, whose long-time partner – Eric Holder – was serving as Attorney General at the time. Chiquita, whose previous incarnation successfully lobbied for the 1954 military coup in Guatemala on similar grounds, saw their lobbying pay off when the U.S.-backed military coup in 2009 removed Zelaya from power. Hillary Clinton, then-Secretary of State, has openly admitted the role of the Obama administration in the coup. In addition to Bolton’s past connections to scandals involving Latin America, he has had a direct role in pushing for military invasions based on false claims of “weapons of mass destruction,” similar to those that led to the invasion of Iraq. After making this baseless accusation, Bolton tried to pressure intelligence officers and government analysts to endorse his statements. Bolton did not take rejection well and, in one case, when an analyst at the State Department’s Bureau of Intelligence and Research (INR) refused to endorse the statement, Bolton scolded him in “a red-faced, finger-waving rage” and tried to have the analyst reassigned. 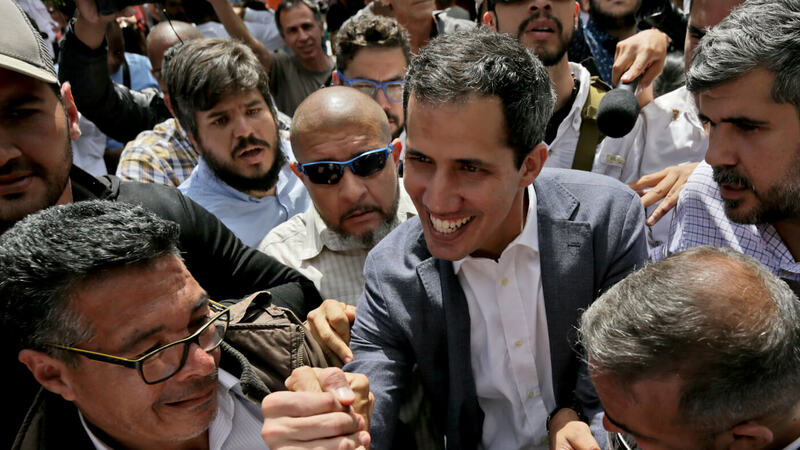 Having supported a coup in Venezuela before, will Bolton do so again? Bolton’s most belligerent stance against any country in Latin America has been reserved for Venezuela. Bolton has long criticized the Venezuelan government, first under Hugo Chávez whose presidency he called a “comic-opera,” and then under Chávez’s successor, Nicolás Maduro, whom he has called “dimwitted.” While serving in the State Department in 2002, Bolton actively favored the failed U.S.-backed coup against Chávez. Since ending his stint as ambassador to the United Nations, Bolton has accused Venezuela of harboring and collaborating with Iranian criminals and “smugglers.” During a 2013 hearing, Bolton claimed that Iran was operating in Venezuela to avoid international scrutiny. Bolton has never presented any evidence to support these claims. These baseless claims invented by Bolton regarding illicit activities of Iranian and Lebanese origin taking place in Venezuela have become frequent talking points of the Trump administration. Last August, Mike Pompeo – then head of the CIA – asserted that Venezuela was overrun with Iranians, Hezbollah and Cubans. In addition, U.S.-backed regime change in Venezuela – which Bolton also advocates — has become increasingly likely under Trump. In February, Rex Tillerson – then serving as Secretary of State – stated that he believes it is likely that the Venezuelan military will remove Venezuelan president Nicolás Maduro, suggesting that the military could be an “agent of change” in the country. Prior to Tillerson’s statements, Trump threatened to invade Venezuela and Vice President Pence had claimed Venezuela as a “threat” to the U.S. However, those who think Tillerson’s oblique calls for a military coup in Venezuela will fade now that he has left his post at the State Department are likely mistaken. Pompeo, who will replace Tillerson, hinted last year while serving as CIA director that the agency was working to change the elected government of Venezuela. As a result, Bolton’s history and recent statements show that he has no qualms with returning to the U.S.’ dark and bloody history in meddling in the affairs of Latin American countries. Whitney Webb is a staff writer for MintPress News who has written for several news organizations in both English and Spanish; her stories have been featured on ZeroHedge, the Anti-Media, and 21st Century Wire among others. She currently lives in Southern Chile.